My kids have never had to go to school hungry. They have an abundance of choices for breakfast every morning from fruit, cereal and yogurt, to oatmeal, eggs and toast. Yet, 1.1 million children in Canada are at risk of going to school hungry every single day. And while there are some in-school nutrition programs that help with this problem during the week, what happens to children who go hungry on the weekends? That’s where Project Backpack comes in. 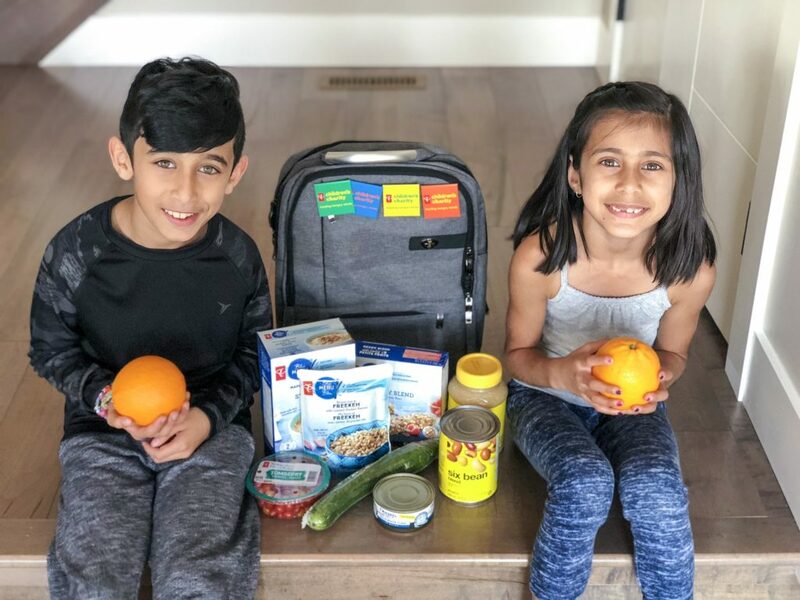 Fully funded by PC® Children’s Charity and distributed by Boys and Girls Club of Canada, Project Backpack provides backpacks full of nutritious, easy-to prepare food for children and youth in need who attend Boys and Girls Clubs. 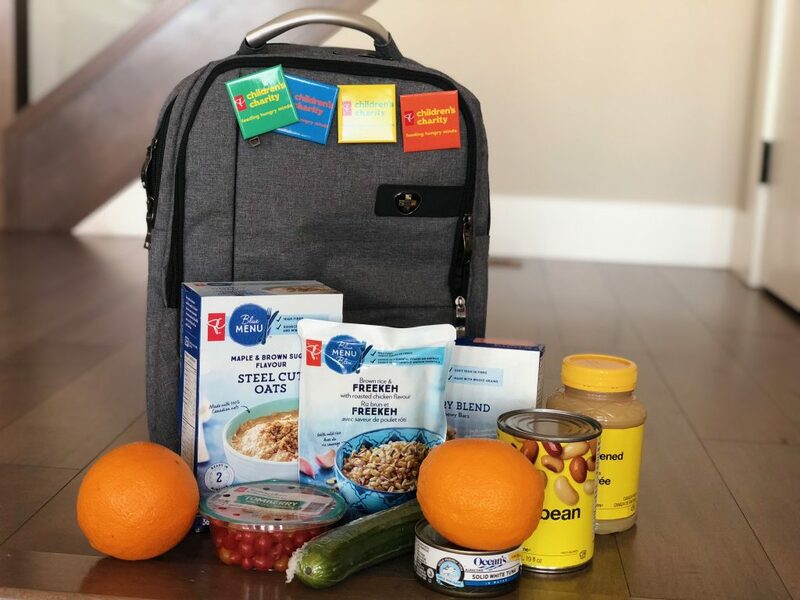 At the end of each week, students who are part of the program take home a backpack filled with items that can be made into balanced meals, such as whole-grain cereals, protein-rich entrées, fresh or canned fruits and vegetables, milk and snacks. PC® Children’s Charity believes that access to good food and food education provides the foundation for children to learn and grow, improving their well-being, so that they can make a positive contribution to the world around them – now, and in the future. This year, 31 Boys and Girls Clubs are running the program, reaching more than 1,000 children and youth across the country. It’s a great step towards making sure no child goes hungry. The kids and I talked about Project Backpack because I wanted them to know that all kids aren’t as blessed as they are and that there are always things we can do to help others. We also talked about what makes a healthy meal and why it’s important, now and in the future. Feeding people is important to me – and it is astonishing how many children go without food, especially on the weekends. Love that there is this program available and so glad you support it! Thanks for giving me something to look into.